The best Men's Halloween Costumes in Sydney! 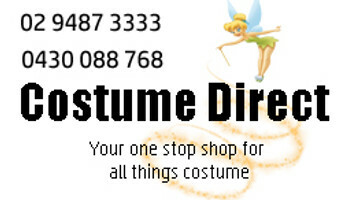 Costume Direct online ships fast Australia wide! Double, double toil and trouble! Fire burn, and cauldron bubble... You'll be cackling your way through trick or treating in our witch costumes and accessories. Creep from the crypt as a Zombie, mix up a potion as a Wizard, or evoke fear as Freddy Krueger. Embrace the undead as a Vampire, or if you are looking for something sweeter, tumble to earth as a fallen angel, or prowl the nights as a black cat. Whatever your taste this scary season, the 31st of October will be that much better with our Halloween costumes!